Coach Delfausse grew up in New York where he played at John Jay High School. From there he moved on to Connecticut College where he played for four years as a middie in the NESCAC conference. Upon finishing graduate school at Wake Forest he went on to start the Adrian College NCAA D3 program. While there, the team never had a losing season and he created the Midwest Lacrosse Conference. Coach Delfausse next moved on to Berry College where he also created their first NCAA D3 lacrosse program. Within three years his team had won a share of the Southern Athletic Association (SAA) titles. For the past five years he has been the Head Coach and Program Director for Westlake High School. In 2016 he was named Texas High School Coach of the year. In that time, his team won five consecutive District Titles as well as one state final 4 appearance. In that time his team also had nine All-Americans and 12 Academic All-Americans. Coach Delfausse also had 13 players go on to commit to NCAA Varsity programs. Over the past 2 years he has also been a coach for the Under Armour All-American Underclassmen games in Baltimore, coaching the Southwest region. Coach John Maggio began his lacrosse career as a youth in Bridgewater, New Jersey and in high school at St. Joseph’s, Metuchen. During college, John was a four year starter at the University of Texas playing defense for the Longhorns and winning the Lone Star Alliance Championship in 1995. As Captain and Vice-President of the UT program, John became passionate about growing lacrosse at the university and also in Texas. Upon graduation, John head coached the University of Texas Women’s Team in 1995-1997, winning three league titles. After taking a break from lacrosse to start a family, John picked up his sticks again in 2004 as Head Varsity Coach of the Westwood HS boys lacrosse team. During this time, John also began working with Ryan Boyle and Matt Streibel coaching select travel teams for Trilogy Lacrosse. Being a Lake Travis resident with two sons, he decided to shift gears and start a program in Lake Travis. 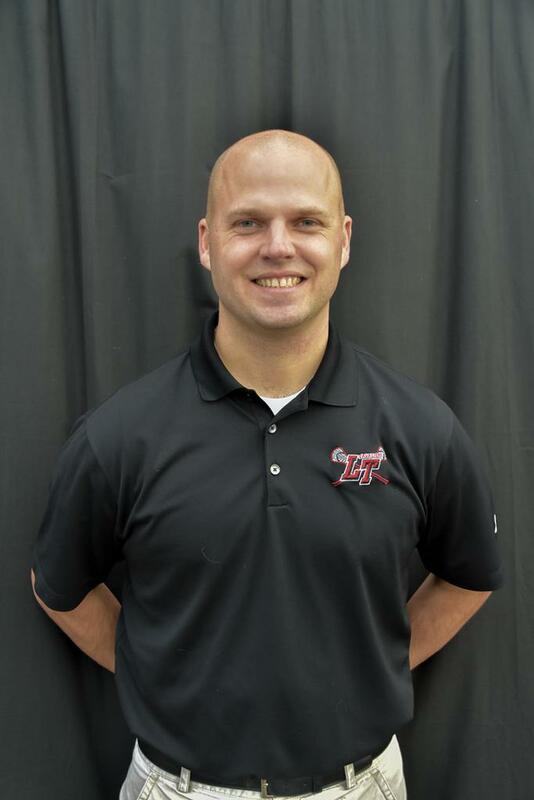 John has served the Lake Travis Lacrosse community in many capacities since 2007 being a founding member of both the youth and high school programs, serving multiple years as President of each of these organizations and Director of Coaching. He has coached every level from 1st grade beginners to high school Varsity boys. John’s sons have followed his passion with one currently a sophomore in the high school program and the other a Lake Travis graduate and now a college sophomore, following his father’s footsteps playing for the University of Texas. Lacrosse has, and always will be my passion! Growing up in Manhasset, New York, lacrosse is a way of life, and I started playing at the age of 4. In High School, I was able to play along side some of the best athletes in the game. In three years, we won a state title, three regional championships, and in 2005 I was crowned the New York State Defensive MVP. I was recruited to play Lacrosse at Rutgers University, where as a senior was presented with the Robert Collet Award - for a student athlete with the best mental and physical spirit. My wife April and I reside in Dripping Springs, and later this year we will welcome our first child into the world. We are so very excited to be welcomed into the Lake Travis Lacrosse community, and I can not wait to hit the field with everyone. 2009 Robert Collett award winner. Owns University of Michigan lacrosse records for ground balls in a game, faceoff wins in a game, total career faceoff wins and total career ground balls. Coach Messner grew up in Summit, New Jersey where he graduated from Summit High School and was Captain for their state finalist team his senior year. He attended college at Rensselaer Polytechnic Institute in Troy, NY where he started four years at long stick middie and close defense. After graduation he worked for three years in NYC as a transportation company analyst for an investment fund while finding time to assistant coach his old high school team and learn from the New Jersey state lacrosse hall of fame coach Jim Davidson. After three years in the finance world Coach Messner decided to pursue his dream job of both coaching lacrosse and teaching high school mathematics. He moved to Atlanta where he received his master’s in education from Georgia State and he head coached the newly formed Druid Hills Lacrosse program for two years. After getting his masters, Coach Messner’s wife Leah was hired by Camp Champions in Marble Falls as the girls camp director and Coach Messner began teaching at Lake Travis HS in 2010. He has been the assistant coach at Bowie for one year, Lake Travis for two years, and now is in his third year as the head coach at Lake Travis. He was voted the top division 1 coach in central Texas after his first season! Coach Messner is currently the AP Calculus AB & BC teacher in at Lake Travis High School.